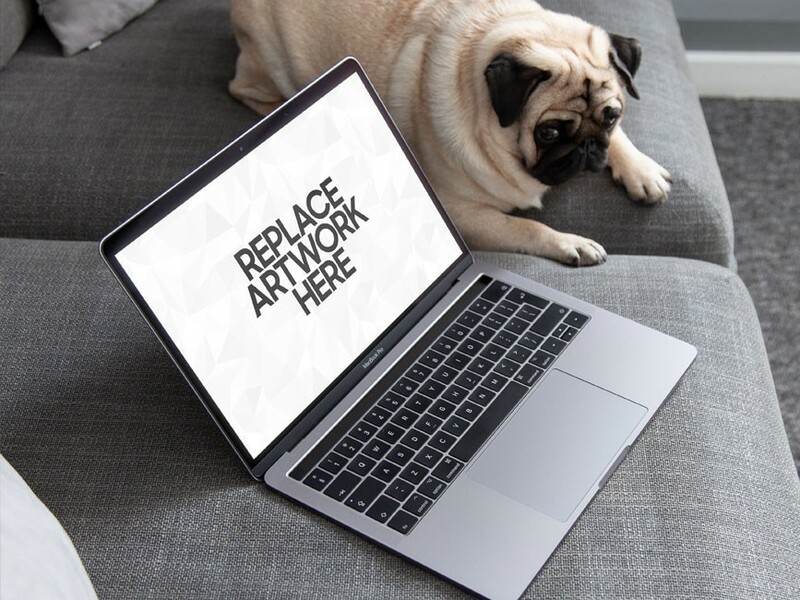 Download Free MacBook Pro with Dog Mockup. Showcasing your Pet related website or eCommerce ui design in a indoor environment with Dog. Mockup file contain Smart Object layer which allow you to replace the screen with your own image in just few clicks. Good work done by PSD Zone.